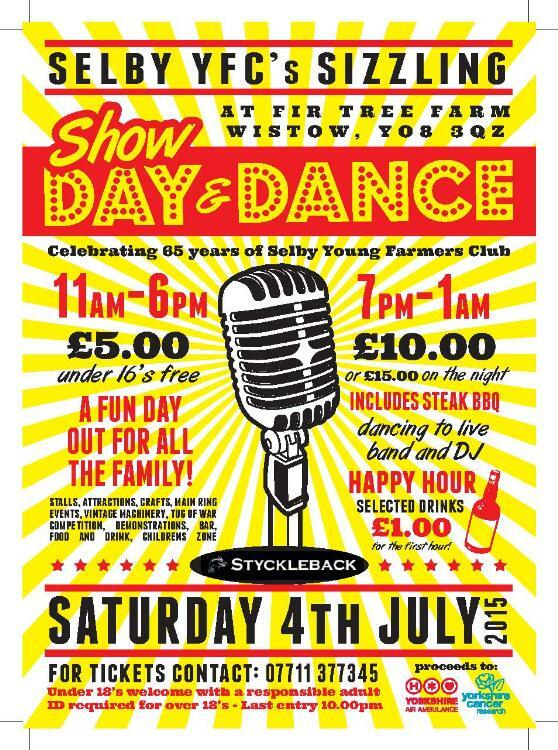 Selby YFC in Yorkshire is holding a 'Sizzling Show Day and Dance' in July to celebrate the club's 65th birthday. 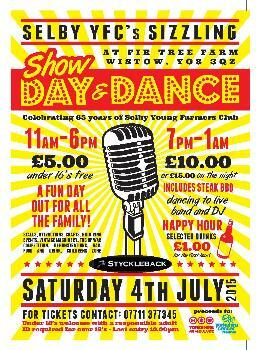 The show will take place on Saturday 4th July at Fir Tree Farm in Wistow. The day-long event will consist of a wide variety of attractions, including a Tug of War competition, stalls of crafts and local produce and a display of vintage tractors and combines. The event will then go into an evening dance, which usually attracts between 300 and 500 people. Club chairman, Georgina Saxon, said: "Our show day will have a focus on agriculture but we also want to include lots of other attractions to make it a brilliant day out for everyone. We are looking for people who would like to attend the show with a stall, demonstrations and acts. We welcome any suggestions of people who may be interested. Our aim is to make it a day out for all the family. "For around the past 8 years we have held our annual ‘Summer Sizzler’ Dance which has always had a brilliant attendance, so it will be something similar to this again but on the same site as the show. This again will be open to everyone." The club intend to donate a large portion of proceedings from the event to the Yorkshire Air Ambulance and Yorkshire Cancer Research. Click on the image for further information. Click here to book a stand at the event.